Greece has to rush to legislate the new measures agreed so that the staff level agreement is signed before the May 22 meeting of euro zone finance ministers. The Greek government has to legislate measures worth 440 million euros in order to close the fiscal gap for 2018 and measures worth 3.85 billion (2% of GDP) for 2019-2020 by May 13. Also, the countermeasures worth 3.85 billion euros must be legislated as well. 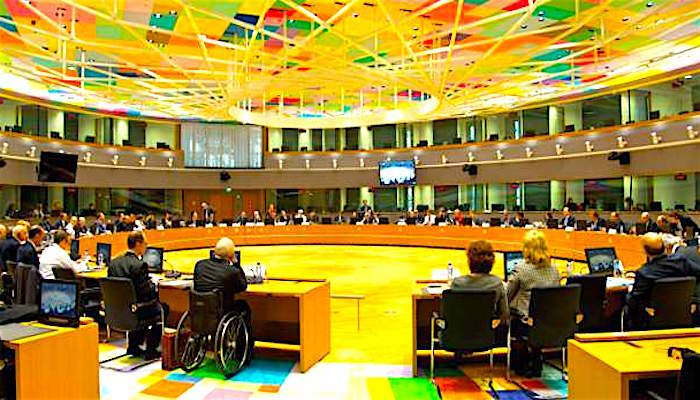 After ratification, the multibills will have to be translated and sent to the European Commission to compile the compliance report, which in turn will pass through the Euro Working Group before it is tabled at the May 22 Eurogroup. Today (Thursday) an extraordinary Euro Working Group will meet to ratify the agreement at a technical level, paving the way for national parliaments to initiate the disbursement procedures for Greece’s next loan tranche. On May 15, the scheduled Euro Working Group is expected to discuss the Greek debt. On May 22, if the measures have passed in the Greek Parliament, euro zone finance ministers will start the official debate on Greek debt relief. If there is no agreement on that date, euro zone finance ministers will meet again in the next scheduled Eurogroup on June 15.